Resort is right on the beach and close to many great attractions! Floating, gold week! Buyer may receive a title fee credit, inquire for details! Prime location on the beach! Floating, Gold week! Buyer may receive a title fee credit, inquire for details! Beautiful resort with breathtaking scenery! Floating, platinum season week! Inquire for details! Breathtaking resort with stunning views of California's coast! Gold season week! Buyer may receive a title fee credit, inquire for details! Willing to negotiate! Clear title! Current maintenance fees! Buyer may receive a title fee credit, inquire for details! Dazzling resort on California's coast! Enjoy peace and quiet! Floating, gold week! Inquire for details! Peaceful retreat with beautiful scenery in California! Buyer may receive a title fee credit, inquire for details! Choose your floating, platinum season week! Relax in Sunny California each year! Buyer may receive a title fee credit, inquire for details! Scenic coastal California resort! Floating, gold week of your choice! Inquire for more details! Beautiful resort overlooking the Pacific Ocean! Floating, gold week of your choice! Inquire for details! Luxurious resort overlooking the Pacific Ocean! Week 52! Buyer may receive a title fee credit, inquire for details! Perfect family destination spot! Prime location close to many activities! Floating, gold season week! Inquire for details! 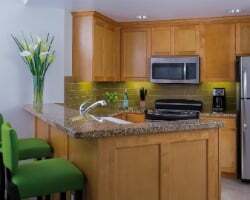 Great suites with all the comforts of home and much more! Floating platinum season week! Buyer may receive a title fee credit, inquire for details! Ideal location right on the beach! Floating platinum season week! Buyer may receive a title fee credit, inquire for details! 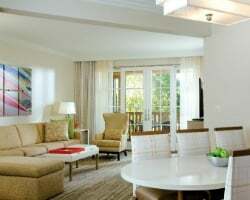 Elegant California retreat with first rate attractions nearby! Annual floating week! Buyer may receive a title fee credit, inquire for details! Unique 2 gold floating weeks on one contract! Buyer May Receive A Title Fee Credit, Inquire For Details! Ideal location right on the beach! Buyer May Receive A Title Fee Credit, Inquire For Details! 2 floating gold wks per yr! Enjoy the onsite beach, multiple swimming pools & more! Buyer May Receive A Title Fee Credit, Inquire For Details! Prime location on the beach! Choose any week in gold season! Buyer May Receive A Title Fee Credit, Inquire For Details! Enjoy everything from a full service spa, to 3 pools and much more onsite! Buyer May Receive A Title Fee Credit, Inquire For Details! Have fun on the California coast! Yearly floating Gold season week! Buyer may receive a title fee credit; inquire for details! Luxurious Ocean view suite! Floating Platinum season week! Buyer may receive a title fee credit, inquire for details! Breathtaking Ocean-view suite! Floating platinum season week! Buyer may receive a title fee credit, inquire for details! 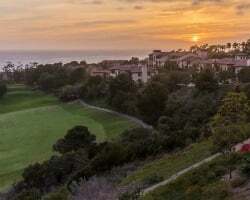 Go play on the scenic California Coast! Yearly usage in a floating, Gold season week! Buyer may receive a title fee credit, inquire for details! Availability January through June! Buyer May Receive A Title Fee Credit, Inquire For Details!